We want to make it as convenient as possible. We do that by offering state-of-the-art technologies but also many comforts of home,” Tom Stys, MD. Sanford Health, a leader in innovative cardiovascular care for more than 30 years, proudly announces the opening of the new Sanford Heart Hospital in Sioux Falls as hospital patients were admitted into the facility today. Attached directly to Sanford USD Medical Center, the 205,000 square-foot Sanford Heart Hospital introduces highly advanced, integrated and personalized heart care to the region. The building houses 750 doctors, nurses and support specialists who will have direct access to their Sanford Health colleagues across many spectrums of care and is equipped from the ground up with the latest in life-saving technologies. Architects and builders received feedback from physicians, nurses, researchers, staff and current and former Sanford Heart patients. 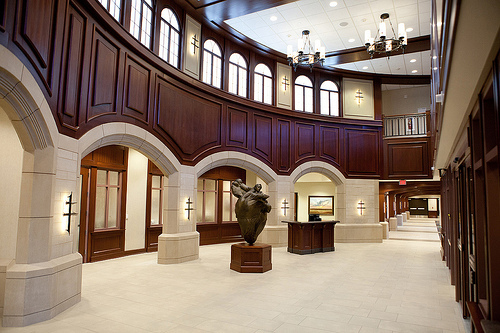 The result is a building that features the signature Sanford collegiate gothic design that houses an ideal environment to allow Sanford Heart’s skilled professionals to care for patients in both the preventative and emergency or episodic settings. Sanford embraces the philosophy that the greatest capacity for healing occurs when stress and anxiety has been lessened. 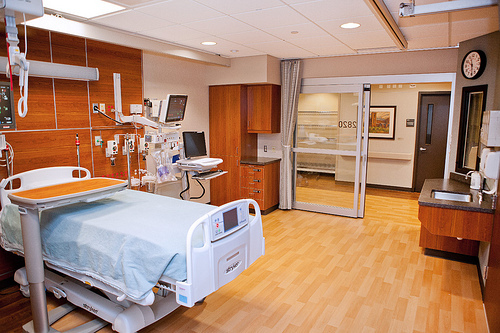 A Healing Environment spans the entire hospital and includes special recessed lighting, music, a massage area, aromatherapy and custom artwork. 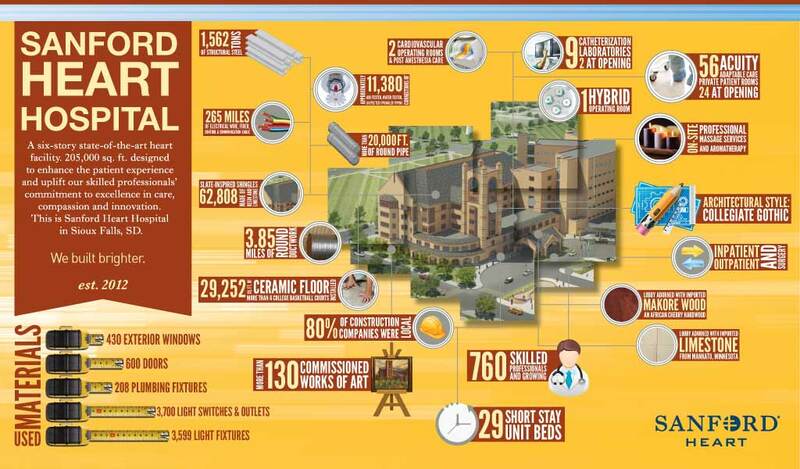 To that end, Sanford Heart partnered with local artists to produce 130 commissioned works of art for the building. Each of the six floors features custom-designed artwork that both supports a unique theme and highlights the area communities. 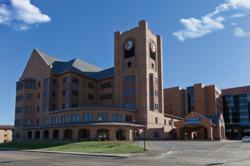 Sanford Cardiovascular Institute began seeing patients in their new location in Sanford Heart Hospital on March 5. The first procedures were held in the hospital the week of March 12. For more information, visit heart.sanfordhealth.org or sanfordhealth.org/Newsroom.